Relief Effort Launched For Costa Del Sol Storm Victims. 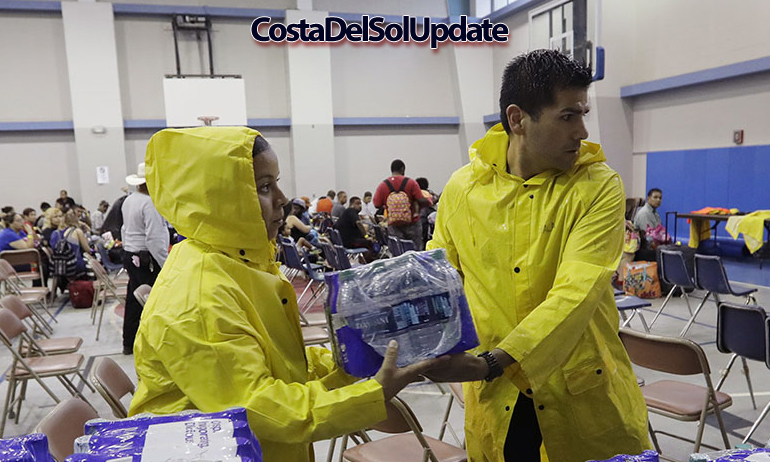 Expats are coming together to offer shelter, food, and social media access to those affected by the severe storms which have hit the Costa Del Sol recently. 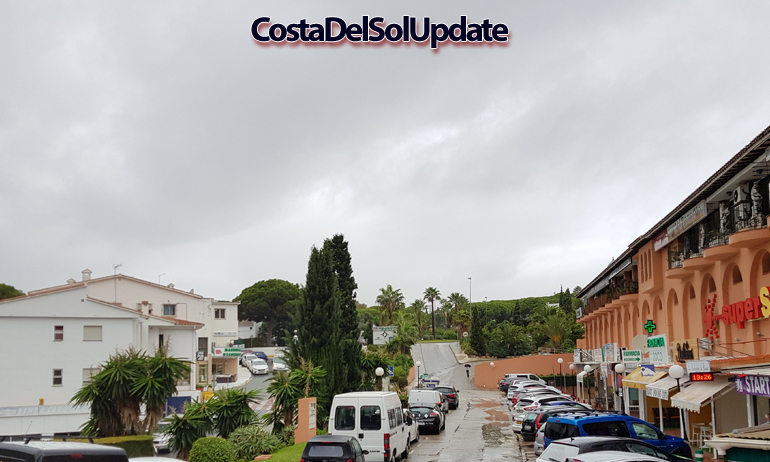 Severe storms have hit the Costa Del Sol over the past few days, leaving many expat families without essentials like electricity and hot water. An emergency relief effort is now underway, with local communities working alongside local authorities to restore power and services. The fierce storms and floods have taken the Costa Del Sol by surprise. Riviera Del Sol resident Carol Kirkwood said “The storm was completely unexpected. Local radio stations have only been warning us about it for two days, it just came out of nowhere”. Conditions in Calahonda are “quite wet” today. 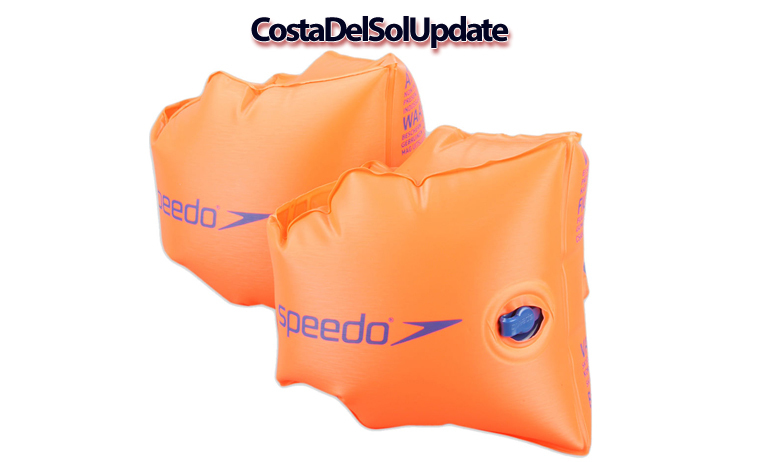 Emergency services are distributing these emergency flotation devices. Emergency drop in centres have been set up at various points on the Costa Del Sol. These will provide shelter, food, and emergency social media access to those who have been left without services by the storm. Sara Blizzard is originally from Birmingham, she says “I’m not from Birmingham actually, I’m from Castle Vale. We’ve been without access to Facebook for seven hours today, it’s been difficult, especially for the kids. There’s no way for us to know what the weather is like at the moment if we can’t see status updates from our friends. This drop in centre has been a lifeline for us”. John Kettley from Torremolinos says the drop in centre has been a welcome relief. “My wife and I were able to have our first wash in three weeks, I’m so happy that these centres have been established to help us expats at this difficult time”. Local weather experts have said that these storms are even worse than the severe weather which injured a British man on the Costa Del Sol last year. You can read about that here. Tourists are already demanding compensation from travel firms who did not warn them about the bad weather. Ray Ban is staying in Puerto Banus and says the bad weather has ruined his family holiday. “We were expecting a full week of sunshine, and now it’s raining it has ruined our plans. We don’t want to look at museums and interesting things like that, we want to sit on the beach. Someone is going to have to pay for this”. 19 year old April Showah said that the storms won’t spoil her Benalmadena break. 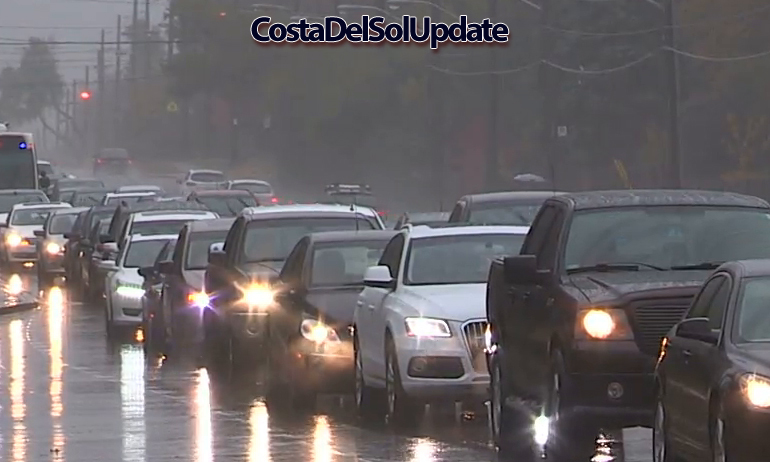 Motorists have been describing conditions on the Costa Del Sol roads today as chaotic and dangerous. 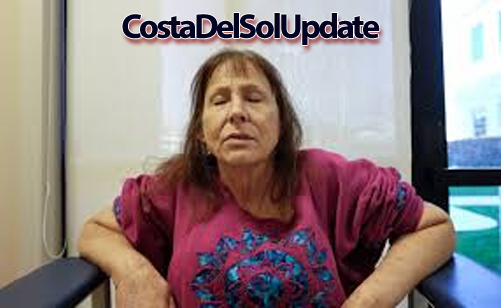 Mark Blundell from Estepona told Costa Del Sol Update “Things out there have been as chaotic and manic as normal, I nearly died three times on my way to work this morning which is no more than usual. I don’t think the storms are affecting the roads”. Traffic has been unaffected by the storms. Expats have been expressing their outrage at the conditions, with many angry that power and facebook have been unavailable. Anne Fernandez runs a non political protest group on Facebook whose members express their outrage at non political aspects of Brexit and other crucial subjects. Anne told us “It’s been a difficult day for us today. Many of my members haven’t got power or internet, which means they have been unable to express their outrage in my group. There is now a real danger that these people may actually go out in public, and express their outrage to real people in bars. This could all have been avoided if the UK had voted to remain”. Have you been affected by the Costa Del Storms? Tell us in the comments box below! I haven’t been able to pop to Mercadona for non-branded sparkling mineral water. I fear these storms will mean I’ll have to venture to the local Chinese-run corner convenience store for Perrier. Or, worse, Lanjaron. Will it ever end?